PBI is a free resource for serious baseball players – where pro players, coaches, trainers and scouts share their hard-earned knowledge about how to play baseball the right way. We invite you to check out the 100’s of pages of pro baseball tips here, nearly all of it free. Learn hitting fundamentals from the true baseball insiders. MLB and MiLB players share their years of experience you in these free pro baseball instruction articles. 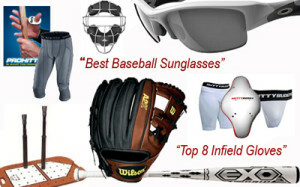 Click here for all pro hitting instruction. Bunting – Learn the mechanics of bunting, as well as situational strategy for sacrifice bunting, best bunting placement for hits, and more. Offensive Strategy – Strategies for advancing runners, when to steal a base, scoring runners, hitting approach, knowing the pitcher’s tendencies, and more. Situational Hitting – Understanding which game factors can – and should – influence your strategy at the plate. In other words, be a team player by recognizing what needs to get done and knowing how to do it. Click to see all the free hitting articles. You don’t have to be as fast as Juan Pierre to be a good base runner. Professional baseball players explain how situational awareness, good habits, and a little strategy can take you a long way. Click here to see all free, all pro, articles on base running. Pro tips for reading the pitcher and timing your base stealing attempts. An underrated but very important defensive position. Tips on how positioning, fielding, and footwork at 1st base can be monumental in a teams success. A good 1st baseman makes everyone on the field better. Pro baseball instruction for first basemen. A position that gets a lot of action. From double plays to double cuts and everything in between, middle infielders have a tremendous amount of responsibility. Pro baseball instruction for second basemen. Being able to sense situations and have proper alignment. Why positioning is so important. Fundamental and not so fundamental ways to field ground balls to give you the best chance to knock down any type of rocket hit your way. Pro baseball instruction for third basemen. Low Liners Blog – Join the conversation to get pro baseball tips and important issues from an insider perspective with PBI founder Doug Bernier. Playing better baseball and making good career decisions – it’s the baseball baseball community at it’s finest. PBI founder Doug Bernier debuted in the Major Leagues with the Colorado Rockies in 2008 and currently plays for the Minnesota Twins triple A team. Now in his 11th year of playing professional baseball, including time with the New York Yankees and Pittsburgh Pirates organizations, Doug decided it was time to leverage his contacts and share pro baseball tips from hundreds of industry pros with the dedicated baseball players and families who love the game of baseball and want to be the best players they can be. As the captain of the infield, you need to know many things – such as how to keep the entire defense in proper alignment, and why the backhand is so important for shortstop. These pro baseball instruction articles teach the essentials and responsibilities of how to play the most challenging position in the infield. Learn the separators between an average and a great outfielder. Know where to be on every ball that is put in play, and why communication is so vital. Get better around the fence and getting the most out of your throws. Pro baseball instruction for outfielders. How to handle your pitching staff, proper technique for blocking, throwing, proper setup, and why it’s the most challenging position on the field. Pro baseball instruction for catchers. Learn how the best pitchers stay strong and durable, use proper mechanics, and attack the strike zone. See how they think through situations, control the running game, and keep their defense playing well behind them. Drills with a partner and by yourself, and for all types of problems that can happen at the plate. On these pages you’ll find baseball instruction for technique, strategy and drills – all written by MLB or MiLB players and coaches -and all designed to help you take your game to the next level. Position-Specific Skills – Whether its footwork for first basemen, tips for turning double plays, tips for pitchers, and more. Drills – Improve your skills using the same drills used by the pros. Situational Positioning – Understand game situations and how that dictates positioning. From double play depth, to no doubles, to double cuts, and more. Learn how to think ahead and try to anticipate where the ball may be put in play. Defensive Strategy – Holding runners on, to pre game preparation, and just knowing what your pitcher throws in certain counts. This is the chess match between an offense and defense. It’s exciting and rewarding when your preparation outplays the offense. On-field Communication – Learn verbal and non-verbal signs for a variety of on-field scenarios, including pop-up priorities, communicating for bunt plays, and avoiding on-field collisions.